When looking for the best hair salons in Portland, there are a few tips to keep in mind so that you find the best one for your family. One of the things to look at is the location of the salon. You want to find one that is close to your home so that you don’t have to drive a long distance just to get your hair styled. Convenient parking is also something to look at since you might be in the salon for a good while if you are getting something detailed done to the hair or if there are other people waiting. The front of the salon is also something to consider. Some salons are clean and tidy while others look plain. While a plain salon could be the same on the inside as one that has a flashy appearance, the first appearance is something to think about. A little flair is alright, but it should be in a fashion that is clean and organized. When you enter the salon, you need to look at how the business is kept clean. You shouldn’t see hair on the floor or equipment sitting out on counters that has been used. Items that are used on the hair or nails if nail services are offered should be free of dust and should be cleaned after each use. Workers should be professional. Look at the licensing of the workers in the salon as you want someone who has gone to school and received the proper training. You should also look to see that the staff can perform the latest styles when it comes to cuts and colors. 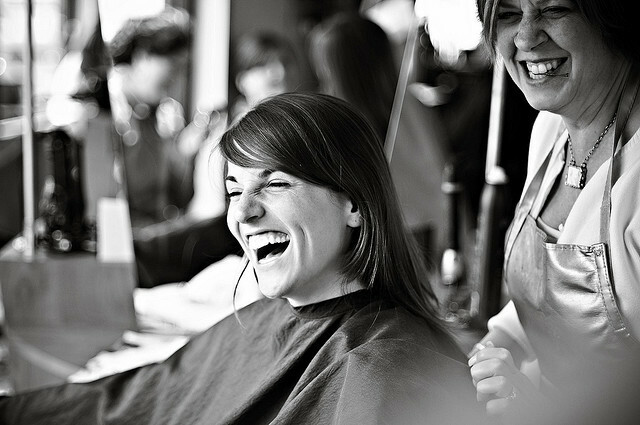 Another way to find the best salons is to read the reviews of customers. If there are more positive reviews that negative, then you will know that the people who go to the salon are satisfied. Talk to the staff to see how they treat the clients they have. You should feel comfortable talking to the staff of the salon instead of feeling like you are simply another person that needs a hair cut or a shampoo. awesome! i have been to a salon who gives a massage before doing your hair and i was like WHAT? haha i was shock because it’s not everyday you get to have a haircut and a massage in a salon. this is a way of ensuring a customer that we are in good hands. I appreciate your tip about trying to find a salon that’s relatively local so you don’t have to drive very far. My husband and I tend to work a lot, which means we’re gone quite a bit. Finding a good hair stylist that’s close by could be a huge benefit when it comes to getting my hair cut. I’m really picky when it comes to choosing a hairdresser, as a male I usually have doubts if they could really do the job for me, I always wanted to look good so having a nice hair is a must. I agree that a good space adds up to the reputation of the salon, the place should be kept clean as it will reflect on their service and the idea of looking out for the reviews before having an appointment is a great help. Thanks! Empire Salon is a leading supplier of barber equipment, chairs and furniture and tools on wholesale.